At Green Apple Dental Clinic, our professional and welcoming team pride themselves on offering high-quality, complete dental care that you can trust. We’re the perfect practice for Brunswick families and professionals, as our wide range of dental treatments mean we’re your all-in-one dental destination. 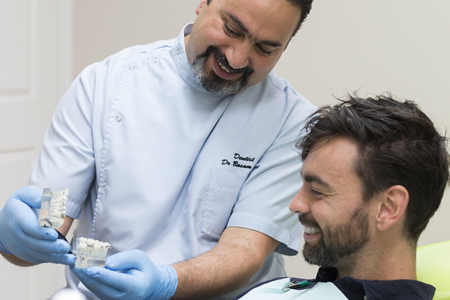 Our dentists at Green Apple Dental Clinic represent a huge array of specialties, so whether you require general, cosmetic, or restorative dentistry, you’ll be looked after by a dentist who is very experienced in that field. We promise to never entrust our products and materials to cheaper overseas labs. Instead, we choose to use the highly-reputable and excellent services of a dental lab right here in the Melbourne CBD. Not only does this allow us to receive our products in a shorter time frame, but it also means the quality of each job is far superior than what faraway labs could produce. Plan Your Visit to Green Apple Dental Clinic Today! Book a consultation with our friendly team today to discuss which dental treatments are best for you. Our dentists are more than happy to answer any questions you may have, plus they always ensure they’re upfront about what a treatment involves, along with its associated costs.